Studio furnished in a vintage style but with modern comfort. 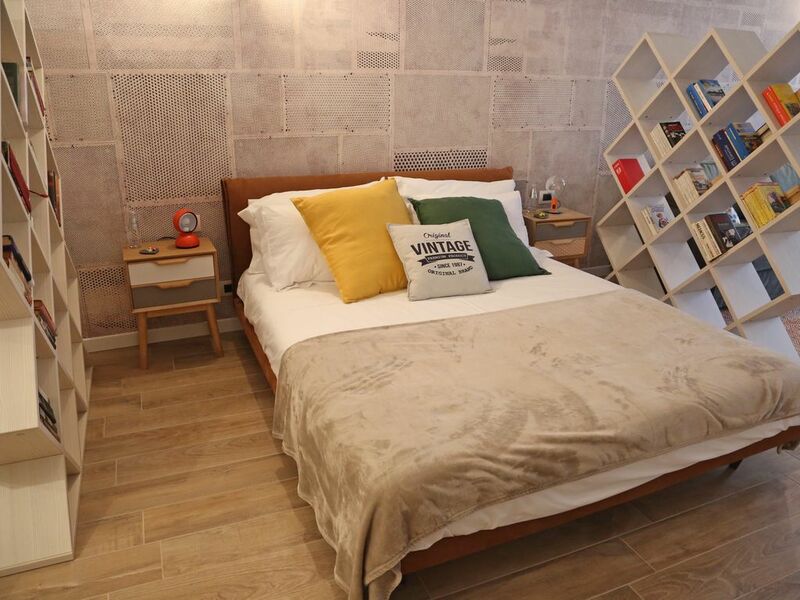 In the heart of the city center full of shops, cafes and restaurants, Bergamo Exclusive Holiday Home is pleased to present this bright studio furnished in elegant vintage style and refined that offers you the best comforts will make you feel at home. The environment is provided with a comfortable king-size bed with memory foam mattress and a double sofa bed. We provide 100% cotton Made in Italy sheets, hypoallergenic pillows as well as all bath towels including bathrobes and slippers. Our bathroom products from the Belcanto line are completely free of surfactants for greater skin protection. The kitchen is fully equipped with Nespresso coffee machine as well as toastapan and kitchen accessories. Sheets, towels, bathrobe and slippers and toiletries are provided. Possibility to have daily housekeeping at extra cost. Great location for getting around easily in Bergamo. Clean, stylish well equipped apartment with very friendly owners and reasonably priced. Would highly recommend this little gem ! Know you and your family. Den här lägenheten är superfräsch - dubbelsäng, bäddsoffa, möjlighet att laga mat - det finns till och med diskmaskin, balkong. Centralt i Bergamo, alldeles intill shoppingdistriktet och ca 10 minuters promenad från funicolaren (bergsbanan) som leder upp till den gamla staden i Bergamo. Thank you Anita for your feedback. It will help us to keep our quality standards always at high levels.